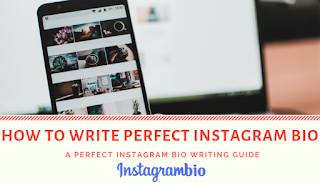 Why you should have a Instagram bio? Instagram is one of the most popular social media site. Instagram has more than one billion active users, having a Instagram bio tells your visitors who you are, the first the your visitors will do is checking out your bio and it has been a most useful way to let people know about you. Having a bio which tells people about your profile will help you to grow more faster on Instagram, because of an bio your audience will be able to figure out what type of profile your have. So it is necessary to have a bio on a profile but its not enough first you would need to know what type of bio suits to your profile. What type of Instagram bio you should have? Before writing a bio you need to know what kind of audience you need, what kind of profile you have and which bio will suit your profile. It is too important to figure out what kind of audience you need for example you have an business profile so your targeted audience is related to your business so you would need to add a bio which matches you business, it won't make any seance if you add some sarcastic bio on your profile because that will not match your profile and it won't help you to let people know about your profile. You need to know what kind of content do you have on your profile, for example if you have a meme account you'll need a bio which matches your profile, you can see in the following image. 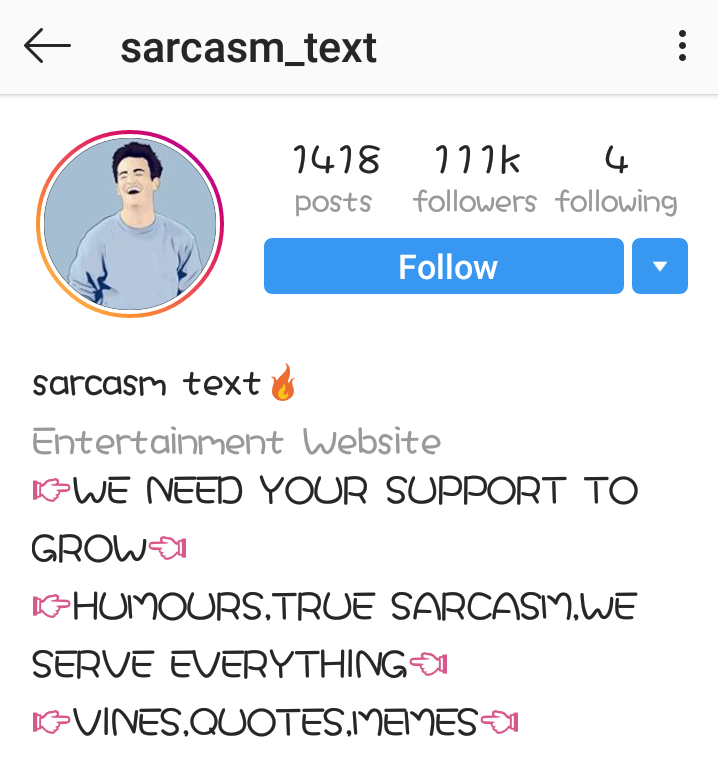 Sarcasm_text is one of The example. If you have a business profile you need to add a bio related to your profile, having a bio which doesn't matches your profile its a waste. The next thing you need to know before adding a bio is how to make your bio look good because it is also necessary to make your bio look good, let assume you have written a great bio which matches your profile but it doesn't look because you have written it as an paragraph, if your bio is good and it also matches your profile but doesn't make any impact on your audience and people who visits your page so it is important that your bio should look good. Here are some examples for you so you would be able to know how to make your bio look good. 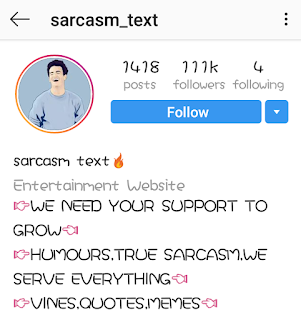 The best way to use Instagram bio is add link of your another Instagram page. This is The best way to grow your both account parallel, its to simple to add link of another account into your bio you just need add the username of account which you wants to add in you bio for example @username and you can also use hashtags in your that relate to your account for example if you are a youtuber you can use #youtube in your bio. This will help you by two ways 1st it will make you bio look much more attractive and growth of another account because if someone will see a username added into your bio he will definitely click on that and visit your another profile. Using emojies and special character into your bio. 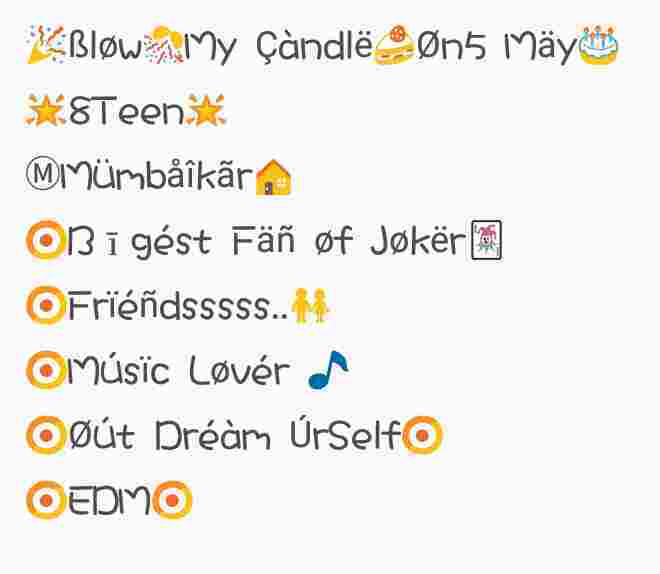 This is the best way to make your bio look good is to add emojies and special characters to it. Using emojies and special character to your bio will enhance the look of your profile and your bio. 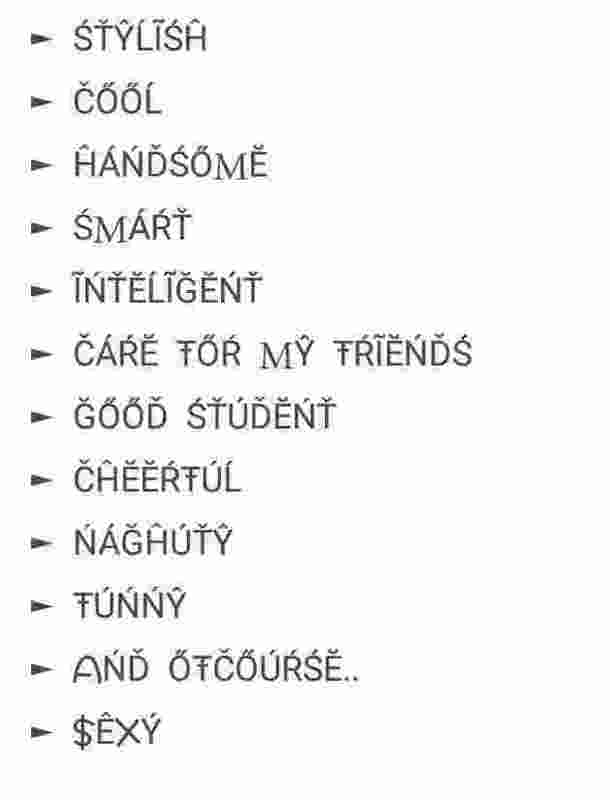 Emojies are the best way to express your feeling without saying anything so adding emojies to your bio will also express your emotions with the words. But the some things you should remember here is never you any emojies with doesn't match your profile. Using emojies that doesn't match with the line written on your bio will make it look bad. Never do excessive use of any emojies into your bio, using such bio just for looking cool will destroy your profiles look. So now you are ready to write a perfect bio for your profile which will help your audience to know you better and grow you more fluently.